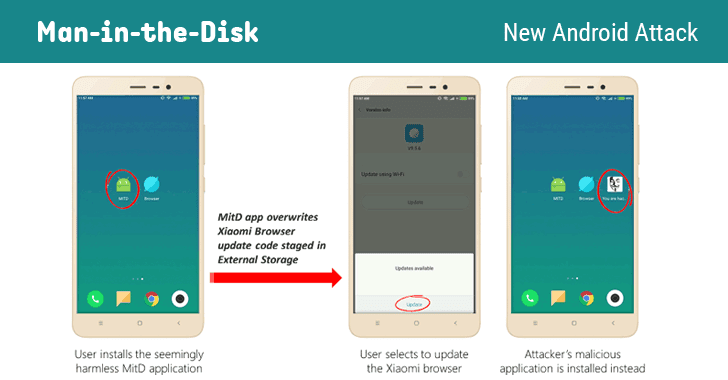 For instance, researchers found that Xiaomi web browser downloads its latest version on the external storage of the device before installing the update. Since app fails to validate the integrity of the data, the app’s legitimate update code can be replaced with a malicious one. “Xiaomi Browser was found to be using the External Storage as a staging resource for application updates,” the researchers said in a blog post. 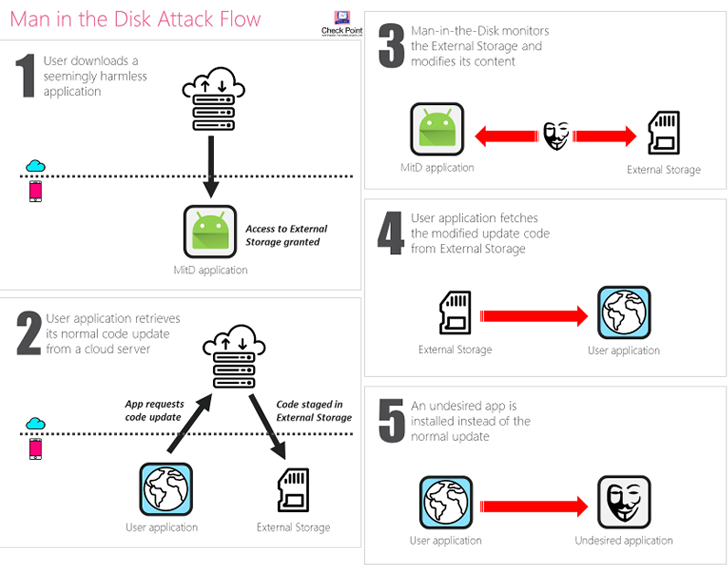 The attack can also be abused to install another malicious app in the background without the user’s knowledge, which can eventually be used to escalate privileges and gain access to other parts of the Android device, like camera, microphone, contact list, and more. Check Point researchers also managed to compromise files and crash Google Translate, Google Voice-to-Text, and Yandex Translate because those apps also failed to validate the integrity of data used from the Android’s external storage. Google, which itself doesn’t follow its security guidelines, acknowledged and fixed some affected applications and is in the process of fixing other vulnerable apps as well, Check Point said. “Upon discovery of these application vulnerabilities, we contacted Google, Xiaomi, and vendors of other vulnerable applications to update them and request their response,” Check Point researchers said.